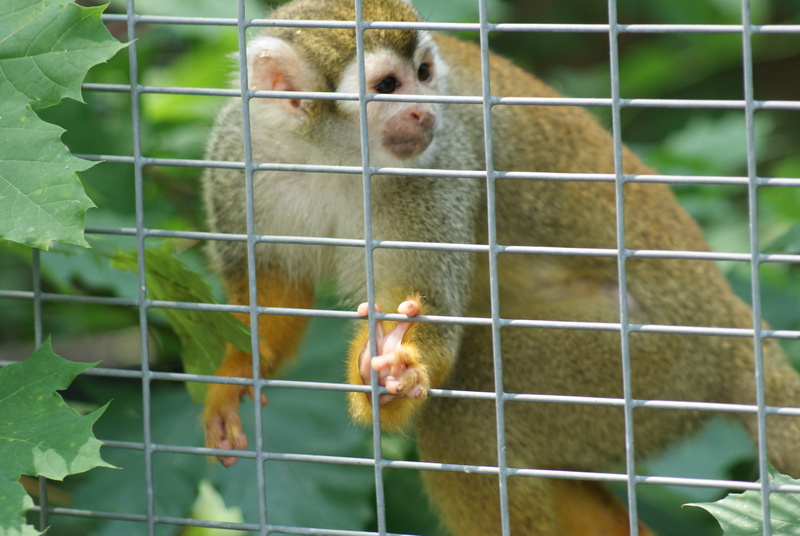 This Squirrel Monkey watches visitors at the Peterborough Zoo. —mania creates a noun that denotes a mental illness or an enthusiasm. —maniac creates an adjective from the noun, meaning affected by mania. —manship creates a noun denoting a skill. —mycin denotes an antibiotic made from fungi or mould. —ment creates a noun that expresses an action, whether the means, the product, or the result of an action. —ment creates a noun from an adjective to express a state of being. —meter creates a noun denoting something that measures. —metric creates an adjective relating to measurement. —metry creates a noun to describe the procedures or science of measuring. Define the words in the list of suffixes. Make a list of prefixes starting with the letter M.
Think of four new words with a suffix or a prefix starting with M, and make a sentence with them. Make your own list of words for each Consonant–Vowel Combination. Which combination is the most difficult? My mother matched most of the Meissen porcelain with melamine dishes. Amusing monsters marched merrily in the musical. Most monkeys are long-tailed primates that live in trees. Apes, by contrast, do not have tails. This blog entry is an excerpt from an upcoming book, English Manual: Letter by Letter, to be published soon. Note: If you like monkeys and history, you may like to read the e-book, Edwardian Annotated Pets and How to Keep Them. This book, written in 1907, Edwardian England includes information on 17 different monkey species popular as pets.